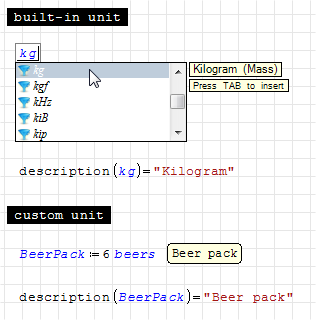 SMath Studio can handle units; there's a large list of built-in units available for the most common applications that could be easily extended by the user. Units are represented with an italic blue-colored font . 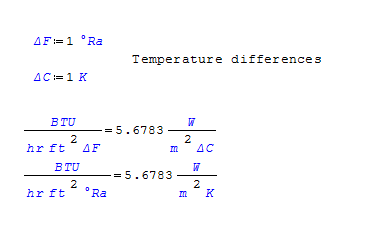 To insert a unit, press the apostrophe (') and then digit the unit name; the placeholder shape will change and the dynamic assistance box can help you showing the built-in units (mouse pointer double-click or press the TAB key to insert the selected unit in the formula). 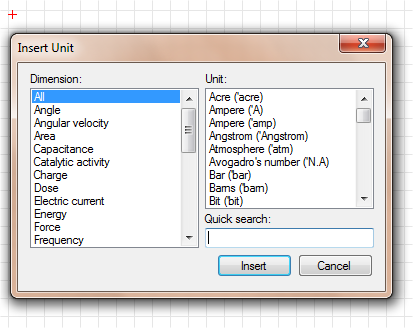 Alternatively you can add a built-in unit by the units window (CTRL+W or menu "Insert" > "Unit..."), where you can easily find the unit by name or by family. 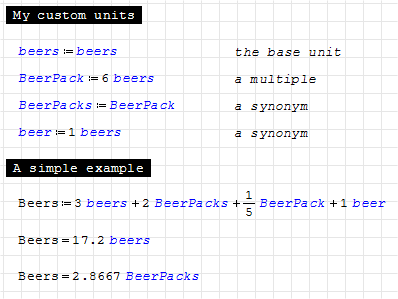 Evaluating an expression that contain units, the output will be delivered with the default units (SI base units); to change the output unit, write your favorite unit in the right placeholder. 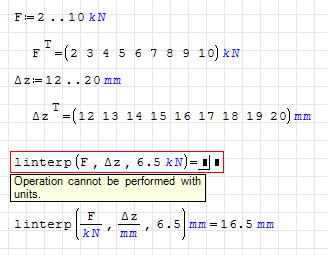 NOTE: the multiplication sign for units is hidden by default, so units like kN*m are shown kN m; to avoid errors the right way to type the unit is 'kN*'m, not 'kNm. You may define/override an unit inside the sheet (simplest way) or handling the Units.xml file (update). From the menu "Tools" > "Options..." you can change the units language. 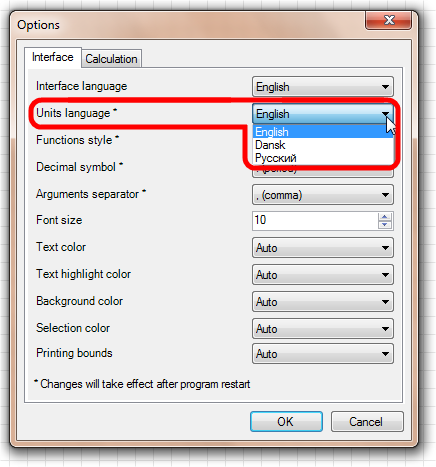 The unit localization changes the way in which is written the unit of measurement. Both built-in and custom unit description can be retrieved as a string using the description() function; description's language depends on Interface language. Not all built-in functions work with units; to work with these functions divide the argument for the expected unit and multiply the result by the same unit. The 0 value has no units. 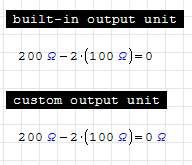 If you want a unit as output even when the result can be null, set the unit in the right placeholder.